Samsung has announced a new partnership with UNESCO MGIEP (Mahatma Gandhi Institute of Education for Peace and Sustainable Development) to create VR-based experiences around India. The company has begun with a virtual reality-based film on Taj Mahal, and showcased it at the UP Investors Summit in Lucknow. Under the partnership, Samsung will be creating virtual reality-based content for two of the famous monuments which are also UNESCO identified heritage sites in India. Apart from the Taj Mahal, the other monument which will get its own VR-based content is the Sun Temple in Konark, Odisha. The film on Taj Mahal will be made available freely across all the social media channels and anyone with a VR headset will be able to enjoy it. The Union Ministry of Tourism and State Tourism Boards have also said that they will be using the film in its Incredible India program for promoting Indian tourism across the world. The film will also be used by Samsung as part of the content of Samsung Smart Class across the country to provide experiential education. 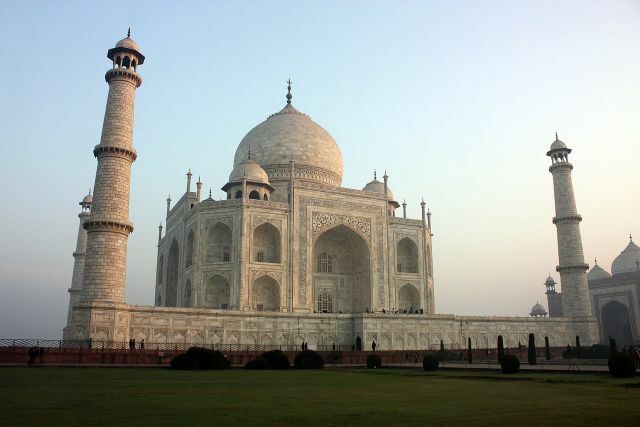 Apart from Sun Temple, Konark and Taj Mahal, Agra, there are 34 more UNESCO Heritage Sites in India and Samsung India has said that the company may take up more sites to develop VR content for those sites in future.